Fig. 8According to P.G.M. Dickinson (1964), the mill was converted to the Hosiery Mill in 1924 under the name of a London firm Klinger Stern. The name is still visible on the riverside front. Two years later C.W. 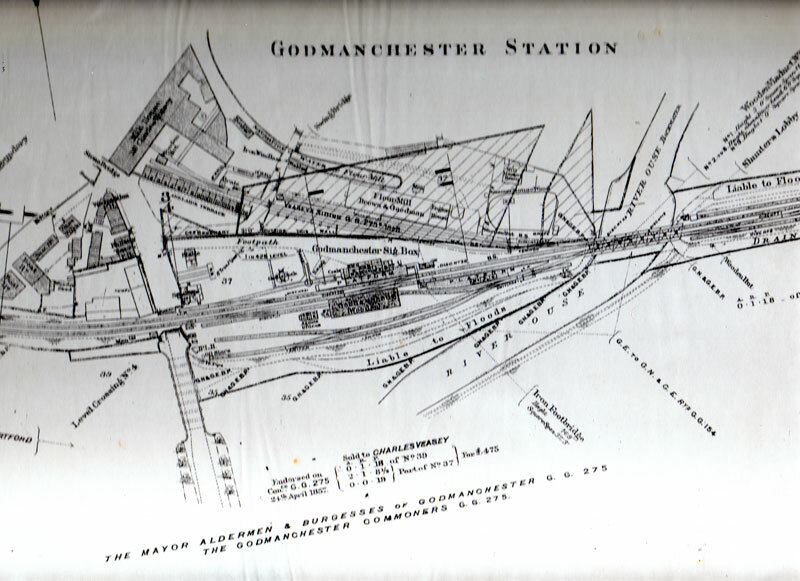 Plumpton of Godmanchester took over the mill and renamed it The Huntingdon Hosiery Mill. 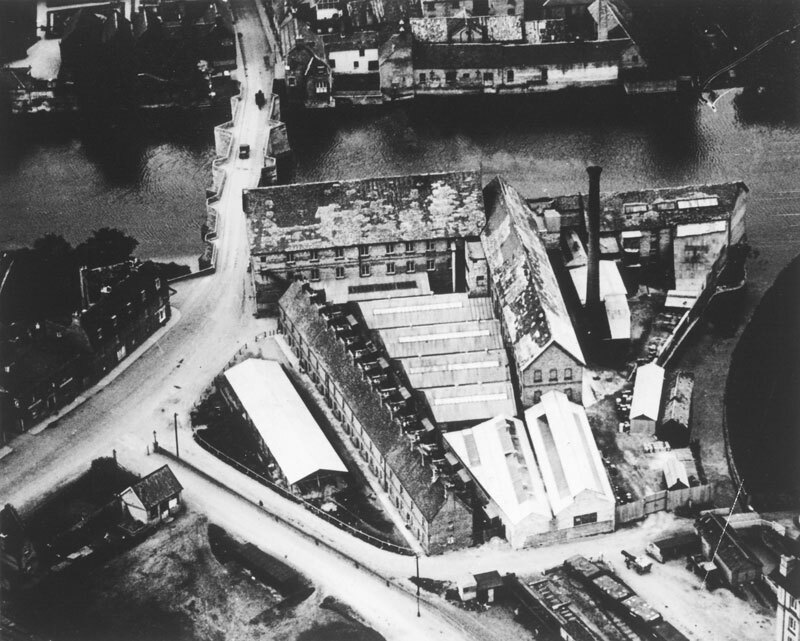 The aerial photograph Fig 8 shows the mill and its surroundings as they were in 1925. Fig. 1Various writers have suggested dates between 1840 and 1850 for the building of the Mill. An exact date is not known, but the map (Fig 1) of West Side Common Rights of 1853 prepared by a surveyor, E.E.M. 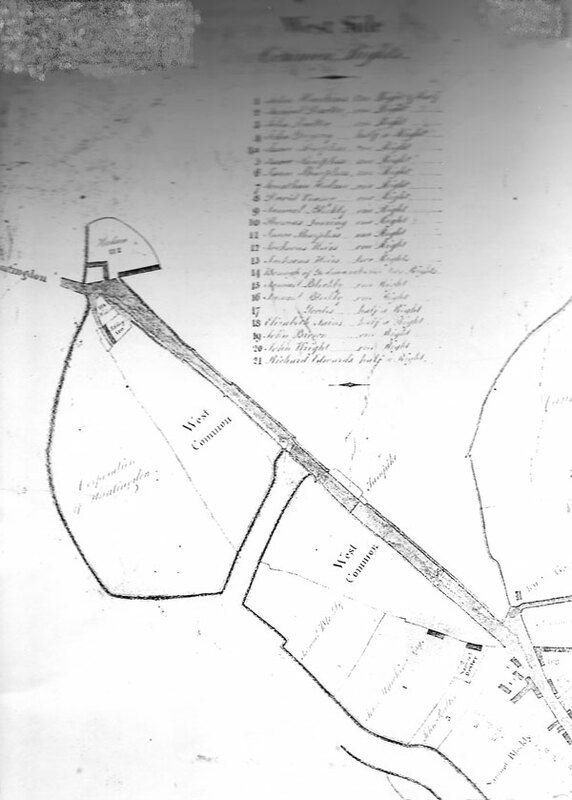 Goode, for the local Board of Health, does not show the mill (the site is numbered 112) and the census returns for 1851 do not include any employees in the mill and no inhabitants of Adelaide Terrace. It is uncertain when the Mill was built (The Domesday Survey recorded the existence of three mills in Godmanchester) but the earliest record of the Corporation of Godmanchester letting the Mill seems to be in 1499 when it was leased to a John Stokes with a clause in the lease that said his wife was not to visit the Mill for the purpose of interfering with the machinery.